BioShock Infinite, much like the other two games in this franchise, apparently sports some thematic devices connected to the religions of the world. One of those devices was altered in the game's development specifically because of conversations held with religious members of the developing team. Ken Levine of Irrational Games spoke with the Official PlayStation Magazine UK specifically about religion in his games. In his mind, the themes need to be essential to the plot rather than exploitative of their subject matter. He talks specifically about infanticide from the first BioShock. "It involves infanticide, I don't think there's a larger taboo in the world. There were people who were very nervous about that. We didn't have that because we thought it would be cool. My feeling was if it's not just there to be exploitive, if it's true to the story and you're telling something that you think is honest, then everything has a place…"
"I had some very valuable conversations. One of the characters in the game was highly altered based upon some very interesting conversations I had with people on the team who came from a very religious background, and I was able to understand they were kind of upset about something…"
So, it's not like Levine and Irrational elected to cut a character or alter them drastically specifically out of fear of offending religious gamers and fans; instead, this seems like an instance where altering the characters and events made for a better story. They were changed into more thematic devices rather than exploitative. 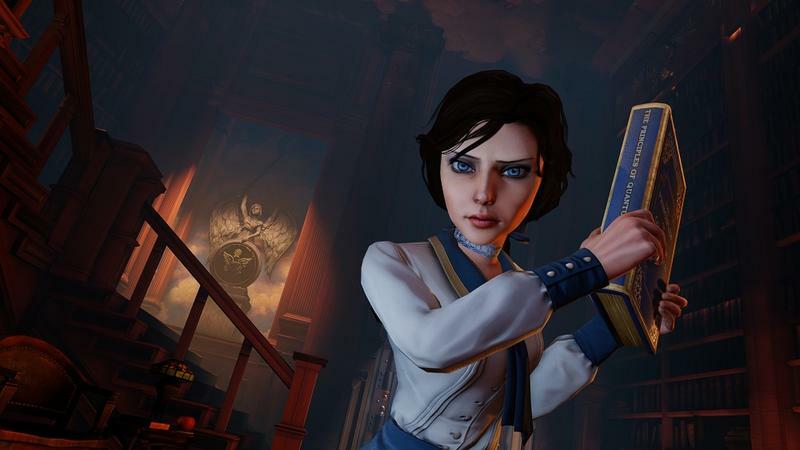 The more I hear about the world of BioShock Infinite, the more excited I am for the final product to come. BioShock Infinite is slated to release for the Xbox 360, PlayStation 3 and PC platforms on March 26th, 2013. Curious whether or not your PC can run it? Check this post from last week.